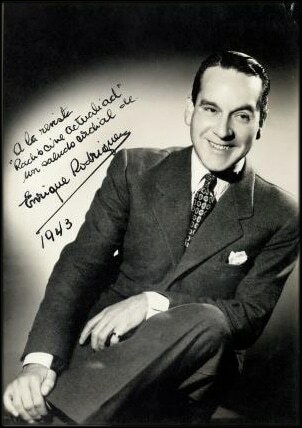 “Como has cambiado pebeta” by Enrique Rodriguez y su Orquesta Típica, with Armando Moreno in vocals, 1942. His style was a breakthrough for the groups of the period, because he played all kinds of genres, introduced miscellaneous instruments and his repertoire, always assorted, only included merry or romantic tunes. But when he played tango, you heard the brilliant sound of a well-rehearsed orchestra, with simple nice arrangements and also with very good vocalists. Continue reading.